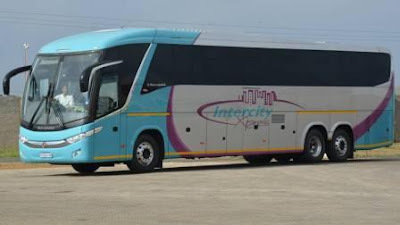 The Intercity Xpress Bus is a privately owned South African coach company which provides bus services across Southern Africa. 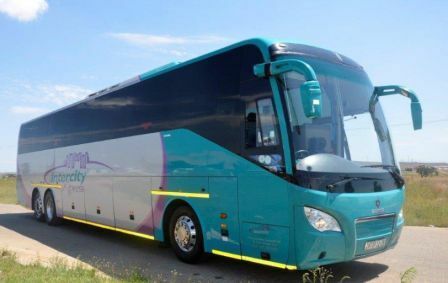 With daily departures linking Johannesburg and Durban and many smaller towns on the way to Kwazulu-Natal in addition to bus services to Zimbabwe. Their buses covers cites such as Edenvale, OR Tambo International Airport, Boksburg, Benoni, Pretoria, Midrand, Johannesburg to Harrismith, Pietermaritzburg, Pinetown, Durban, Amanzimtoti, Scottsburgh, Hibberdene, Port Shepstone, Shelly Beach and Margate. Intercity Xpress also has daily service to Harare and Bulawayo in Zimbabwe from South Africa. Their busses are equipped with reclining seats and on-board bathrooms. 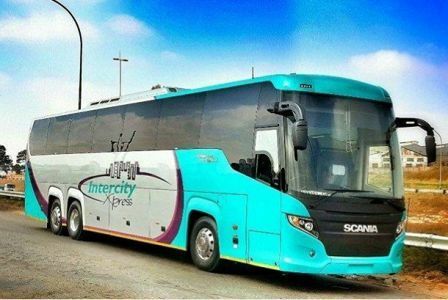 Intercity Xpress is the only luxury coach operator that provides daily scheduled bus services to both the East Rand in Gauteng and the Kwazulu-Natal South Coast up to and including Margate over and above the common destinations on the N3. Intercity Xpress also provides a luxury daily scheduled service to Harare and Bulawayo in Zimbabwe. 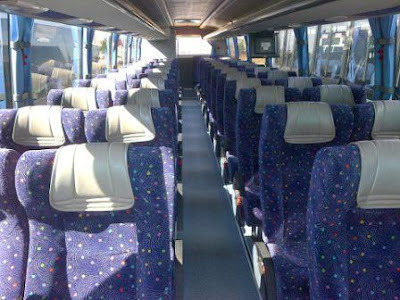 We do offer an airport shuttle service to OR Tambo. 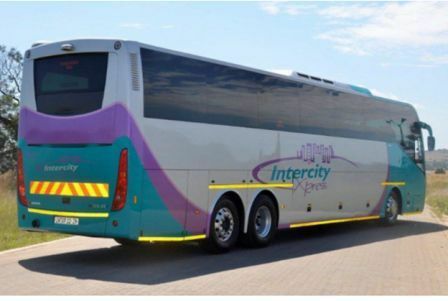 Intercity Xpress operate luxury 44- and 52-seater coaches and every bus in our fleet is fitted with a two-by-two reclining seat configuration, on-board bathroom facilities, radio, DVD and climate control. These coaches are also tracked by satellite in our 24-hour Operations Control Room to ensure both our route operation and drivers are constantly monitored. Intercity Xpress not only provides commuter and tourist bus services in South Africa, we also provide comfortable and reliable luxury bus hire solutions. 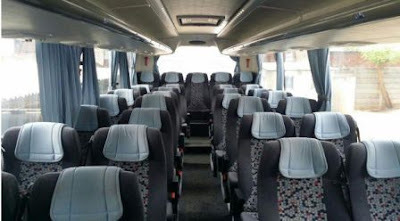 From regular contracted charter services to once-off coach hire event solutions for special occasions like weddings, sporting events, religious functions, social events, airport transfers or tourist groups. With various types of coaches available from semi to super luxury we can tailor-make a solution for you. Lesser discounts will be given during peak travel periods and more discount will be given during off-peak season. 5% or 10% Pensioners Discount: If you're able to produce a pensioners card or valid ID proving you are a pentioner, you qualify for the discount. 15% or 20% Children Discount: Children between 3 and 11 years old qualify for this discount, but they must be accompanied by an adult. 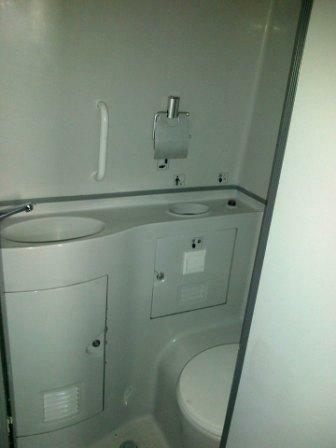 Children under 3 years old, not occupying a seat can travel for free. 5% or 10% National Security Discount: Members of the SAPD or SANDF qualify for a discount when they produce their force cards. 5% or 10% Student Discount: Students qualify for a discount when they produce their student cards. 5% or 10% Scholars Discount: Learners qualify for a discount during their school years. 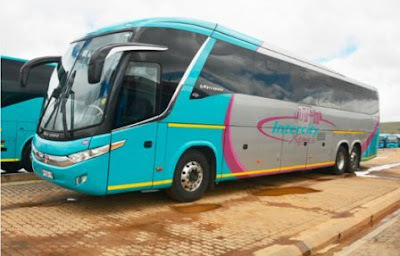 Mahala Travellers Club: Members of the club qualify for a 50% on their next Intercity Xpress bus ticket if they travel more than 10 times during a 12 month period.